I ended the last post by observing that when he wrote the first five books of the Bible, Moses – at right – had to really dumb it down. Which is no mean trick. And which brings up one main theme of this blog: That reading the Bible means operating on at least two different planes. The first is the literal plane, the literal story of Jesus – which is so simple that even a child can understand it. But understanding the second plane requires more thought, more persistence, more work – and having more of an open mind. Which is another way of saying that no one can ever know all there is to know about the Bible. declares the Lord. “As the heavens are higher than the earth, so are my ways higher than your ways and my thoughts than your thoughts. Now this is an allegory: these women are two covenants. One woman, in fact, is Hagar, from Mount Sinai, bearing children for slavery… But the other woman [“Sarai,” or Sarah, the wife of Abraham] corresponds to the Jerusalem above; she is free, and she is our mother. 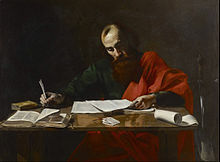 Only a small part of the actions of Jesus had been written… Enough is recorded to direct our faith, and regulate our practice… We may, however, look forward to the joy we shall receive in heaven, from a more complete knowledge of all Jesus did and said, as well as of the conduct of his providence and grace in his dealings with each of us. Which seems to be a fact that many Biblical literalists seem to overlook. You begin your process of Bible-reading and study by “learning the fundamentals.” But then – after your spiritual boot camp – you’ll want to move on to more Advanced Individual Training, as noted below. That way – using an open-minded approach – you can get a head start on gaining a “more complete knowledge” of all that Jesus did and said, as well as a knowledge of the whole Bible itself. The full Daily Office Bible readings for Saturday, March 25, include: “AM Psalm 87, 90; PM Psalm 136; Jeremiah 13:1-11; Rom. 6:12-23; John 8:47-59.” See also The Annunciation: “AM: Psalm 85, 87; Isaiah 52:7-12; Hebrews 2:5-10 PM: Psalm 110:1-5(6-7), 132;Wisdom 9:1-12; John 1:9-14.” See also The Lectionary – Satucket Software Home Page. …interpretive method (exegesis) which assumes that the Bible has various levels of meaning and tends to focus on the spiritual sense (which includes the allegorical sense, the moral (or tropological) sense, and the anagogical sense) as opposed to the literal sense. It is sometimes referred to as the Quadriga, a reference to the Roman chariot drawn by four horses. This entry was posted in Daily Office readings, Feast Days on March 27, 2017 by dorscribe@aol.com. Now about that “pain in the back.” Unfortunately, I’m not speaking metaphorically. I actually did “throw out my back,” back on Thursday, March 2. That was only three days after I did my last post, The “Overlooked Apostle,” Ruth and Mardi Gras. 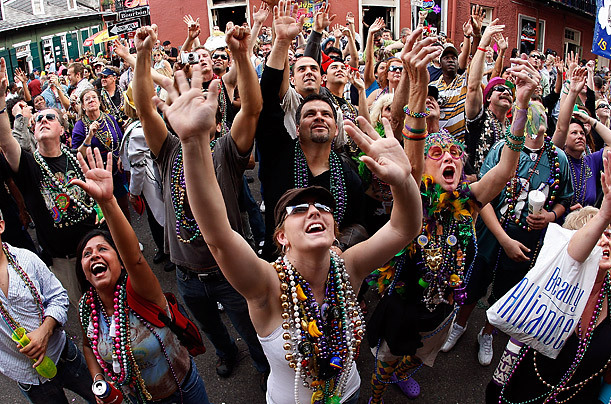 (Which featured the image at left, of revelers in New Orleans “showing skin for beads;” of which I am speaking metaphorically.) And the reason that that was the last post I did is because – ever since then – I’ve been unable to sit at my “laptop” desk at home for more than a few minutes at a time. As noted in September 2016,* for next September – 2017 – “my brother and I plan to hike the Camino de Santiago, mostly in Spain.” As part of my training for that upcoming event, I tried a type of “forced march.” (Also known as a “loaded march.”) Briefly, a forced march involves alternating periods of walking and running – or jogging for older folk – but with increased resistance provided by a heavy pack. In my case, on the Camino itself I hope to maintain a pace of 20 minutes per mile, with about 20 pounds of pack weight. So for training purposes, I started experimenting with cycles of one minute – 85 steps – of jogging, followed by a number of minutes walking. I started out with one minute of jogging followed by six minutes of walking. But I also wanted to be time-efficient, so I kept increasing the pace, by decreasing the number of walking minutes. Finally, on March 2, I tried a four-minute cycle: One minute of jogging and three minutes of walking. 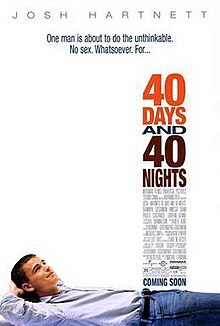 To make a long story short, I overextended. Which is another way of saying that I’ve been paying for it ever since. See also Wikipedia, which noted that Lent is “devoted to ‘prayer, penance, repentance of sins, almsgiving, atonement and self-denial. 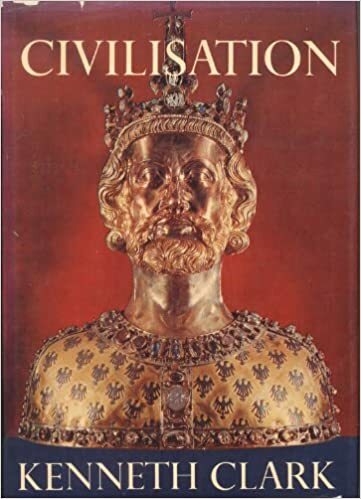 '” And if you’re interested in even more history on Ash Wednesday see The History and Meaning of Ash Wednesday. The upper image is courtesy of Back-Painemdocs.net. Although the article concerned pediatric back pain – such pain suffered by “infants, children, and adolescents” – it did note that the “incidence of back pain increases with age.” Also re: “Threw out my back.” See also Throw Out Your Back? 8 Tips to Help You Recover, which includes steps I wished I’d taken three weeks ago. 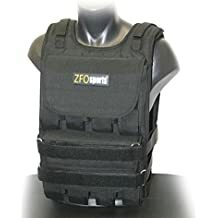 The weight-vest image is courtesy of Amazon.com: weighted vest. Troublemakers are made to place extra rocks in their backpacks for the duration of the marches. Further in the training of a “Caporal” there is a 100 km march which must be completed in 24 hours. Re: “Nanc[y].” See also Tough it out – Idioms by The Free Dictionary. The lower image is courtesy of Stoning of Moses, Joshua and Caleb | Byzantine | The Metroplitan Museum of Art. 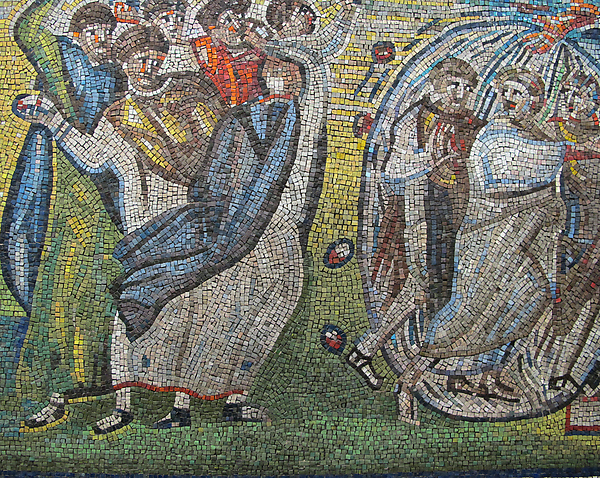 (It’s a mosaic from the 5th century.) See also Stoning – Wikipedia, which includes another painting of the incident. The caption to that painting, under Punishment of the Rebels: “The Punishment of Korah and the Stoning of Moses and Aaron (1480–1482), by Sandro Botticelli, Sistine Chapel, Rome.” See also Heresy – Wikipedia. This entry was posted in Reviews on March 20, 2017 by dorscribe@aol.com.